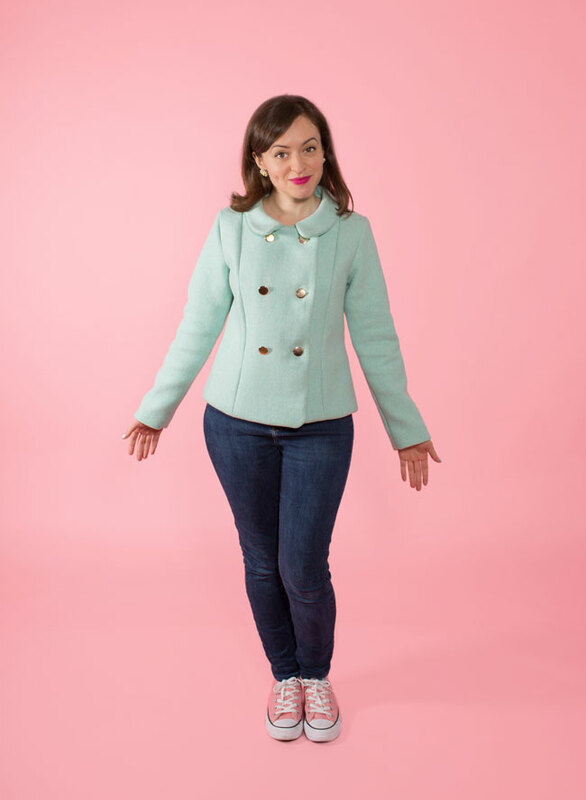 You know what it's like - you search in vain all Autumn and Winter long for the perfect coloured wool to make a coat that doesn't break the bank. Then, come late Spring, you find it! 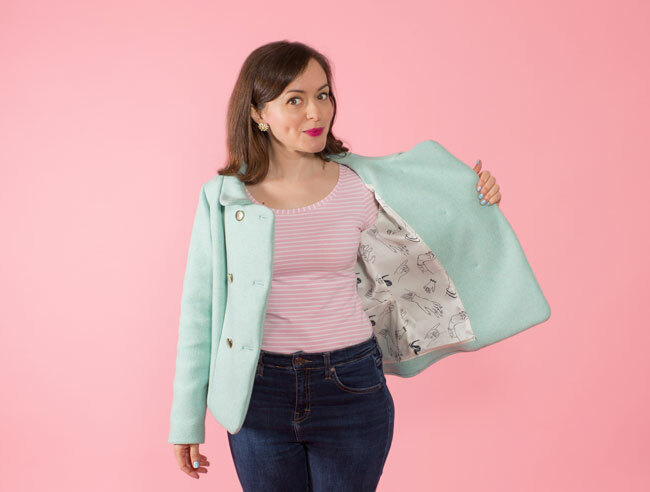 I couldn't resist grabbing this mint wool when I spotted it on Goldhawk Road a few weeks ago, and promptly sewed it up into a Papercut Patterns Watson jacket before the weather gets too warm (I live in London). 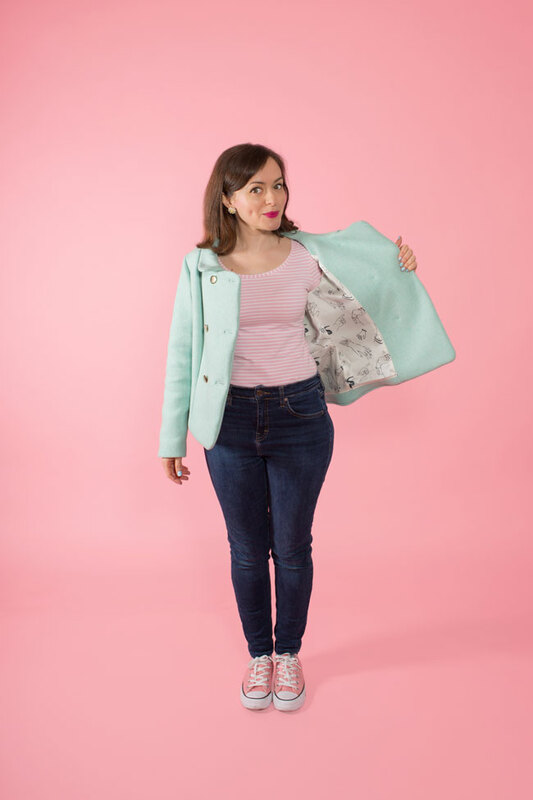 Longtime readers may remember I've made the pattern before, back in 2013 (inspired by Moonrise Kingdom but ending up looking like a homage to Father Ted - still love it though). This time I removed the capelet to make it capeless. 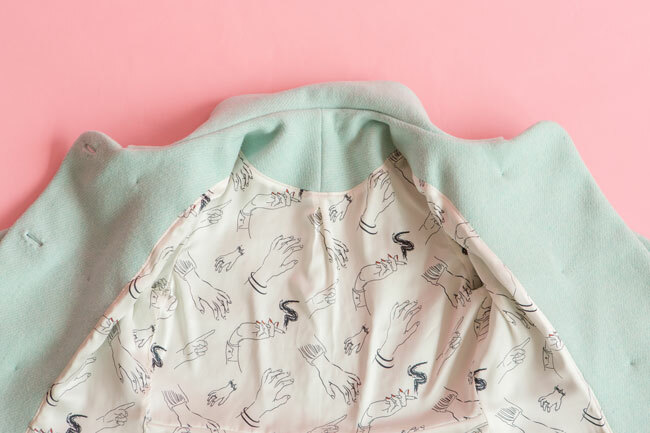 There are only so many capelets you need in your life, after all. 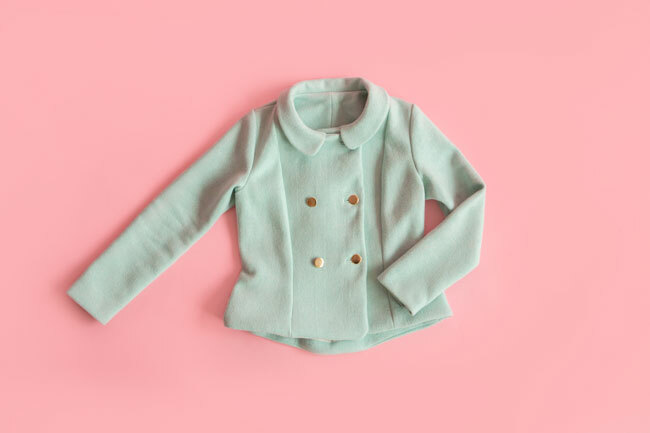 The jacket has princess seams and a Peter Pan collar at the front, and long waist darts and a little peplum giving it a lovely shape at the back. 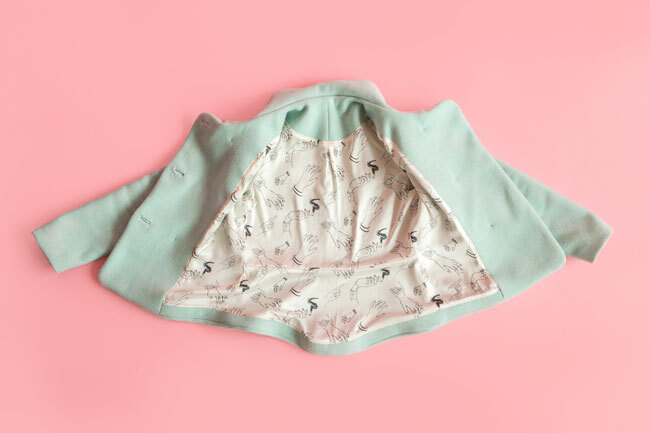 The great thing about making a pattern a second time is that I'd already done the leg work of making a toile and adjusting the pattern last time - so it was relatively speedy to come together. One thing I'd do differently though. Even though I trimmed the under collar down to try to hide the seam line, this wool was pretty bulky and the seams liked to roll around and do their own thing. If I made it again, I'd trim the under collar down even more to try to keep it on the underside. Did you see my talking buttonholes on Instagram? I do apologise. 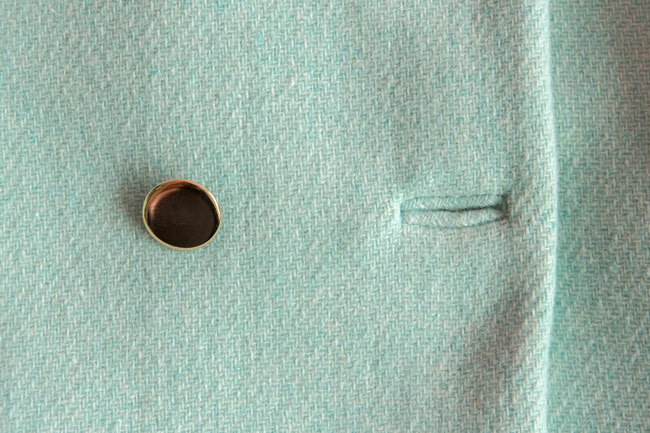 I went for bound buttonholes and hand stitching does crazy things to my mind. Worth the effort, I think - they seem to suit wool a lot more than machine stitched buttonholes.